Join us Friday February 24th, 2017 at 11:00 am CST! If you have been exposed to burn pits, in Iraq or elsewhere, we would like to hear from you. Bio: Rosie Lopez-Torres , currently serves as the Executive Director of Burn Pits 360 Veterans Organization. Also the Wife of Army 23 year Army Veteran who served in the Iraq War Campaign Veteran. She serves as a Veterans Advocate and Environmental Activist. She is the mother of 3 children Christopher 24 yrs old, Kenneth 21 yrs old (army infantrymen) and Merissa 19 yrs old. 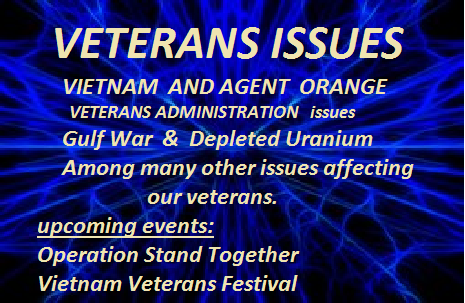 Eventually form an alliance with VA, DOD, Veterans Organizations and congressional leaders at both a state and federal level. Upstream from the injuries are the root causes … big lies … which led to calls for patriotic duty in wars. 9-11 narratives are big lies as it wasn’t muslims who did 9-11. 9-11 is another in a series of false flags operations which are designed to blame others and promote conflict. When will anti-war and peace groups ally with the 9-11 truth movement?